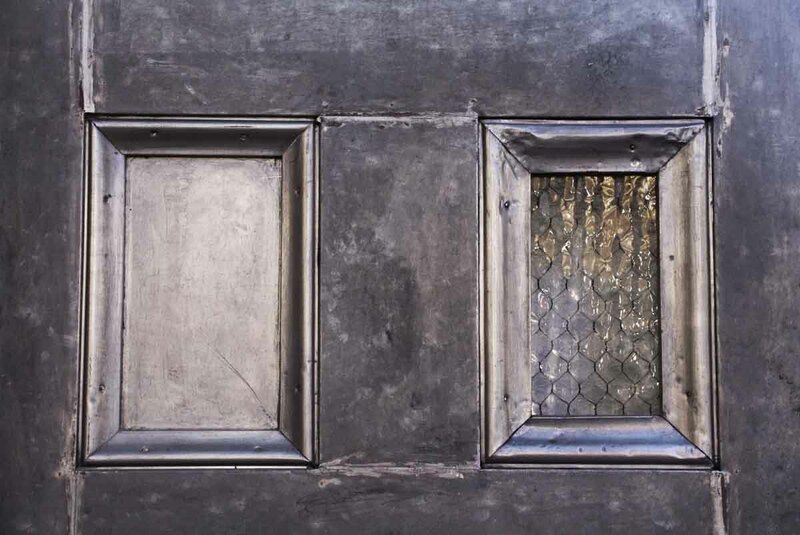 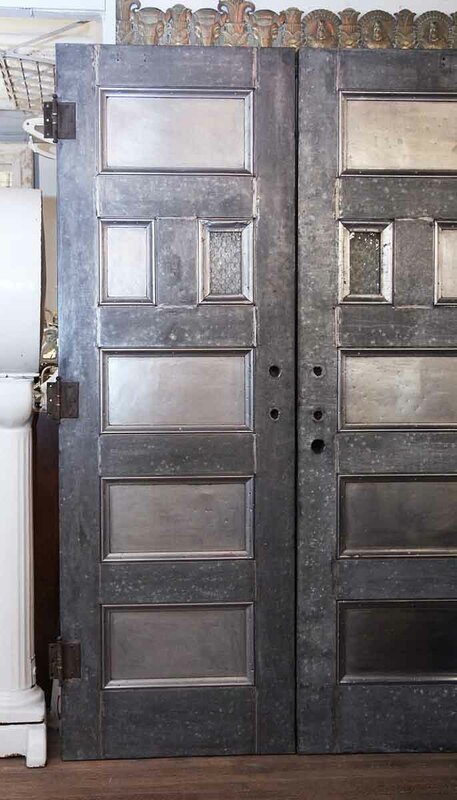 Pair of industrial fire proof Kalamein doors with six panes made by The Coburn Trolley Track MFG Co. 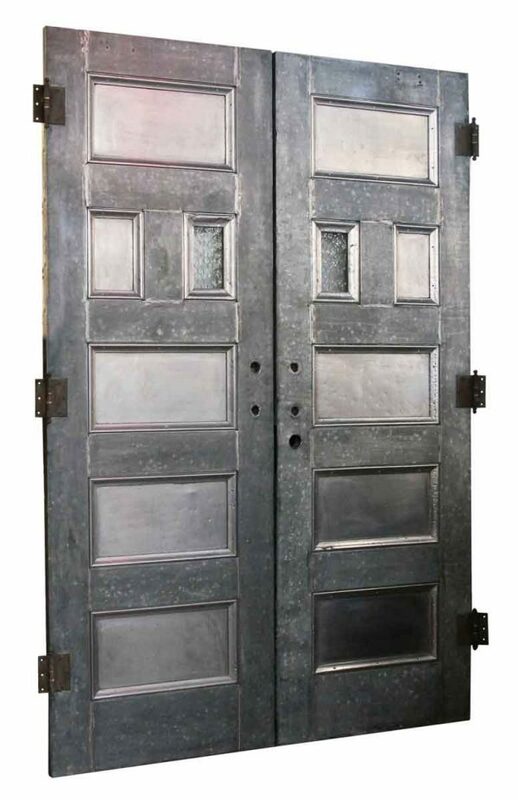 The doors have been stripped and cleaned and all original hinges are included. 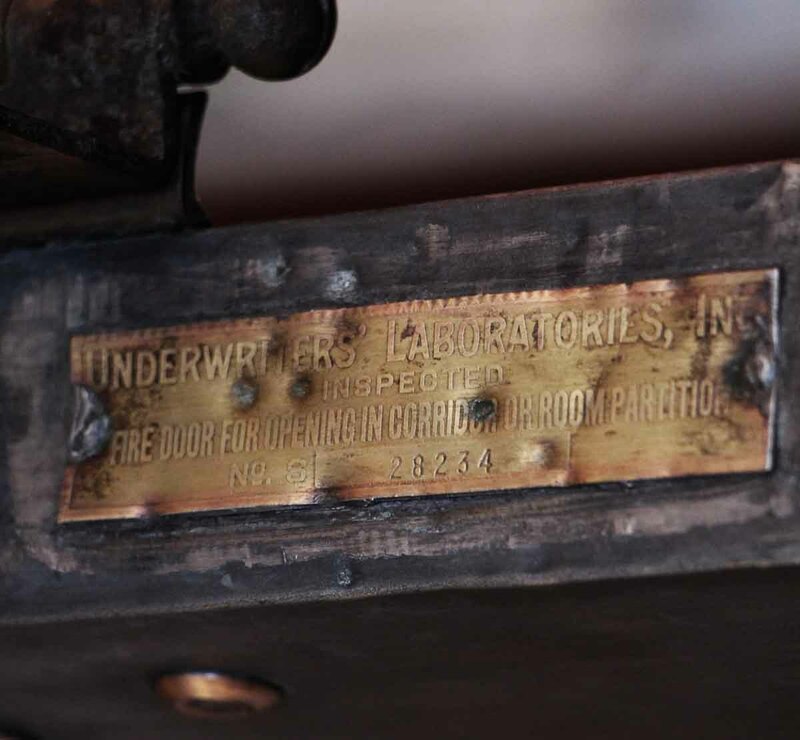 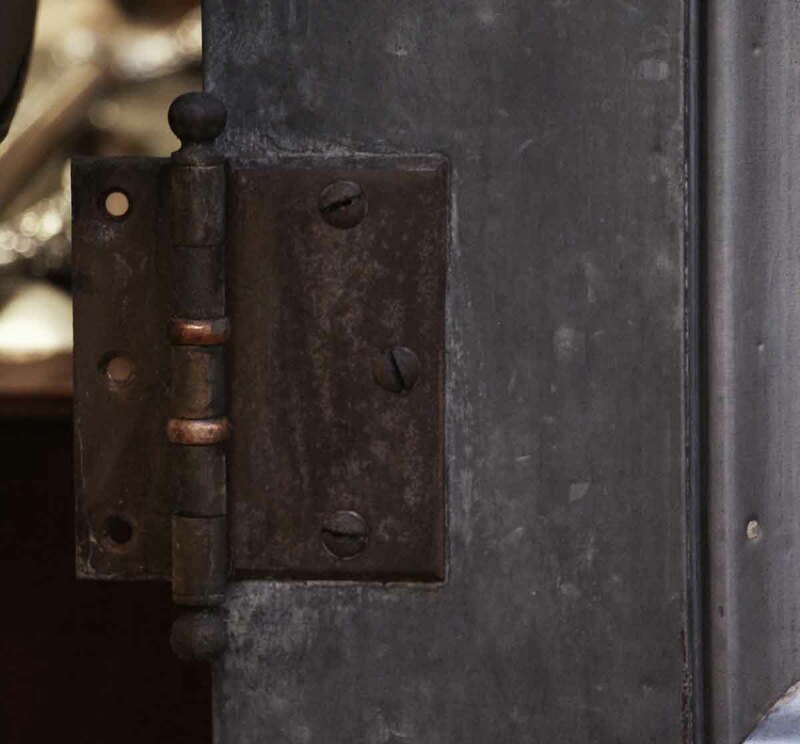 They are tagged with the manufacturer’s brass labels on the sides of the doors. 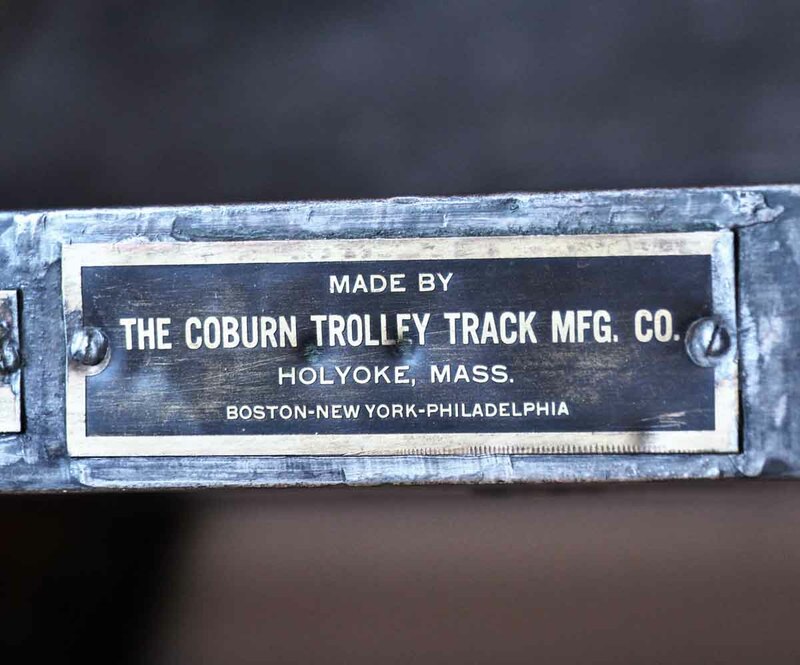 The Coburn Trolley Track MFG Co.